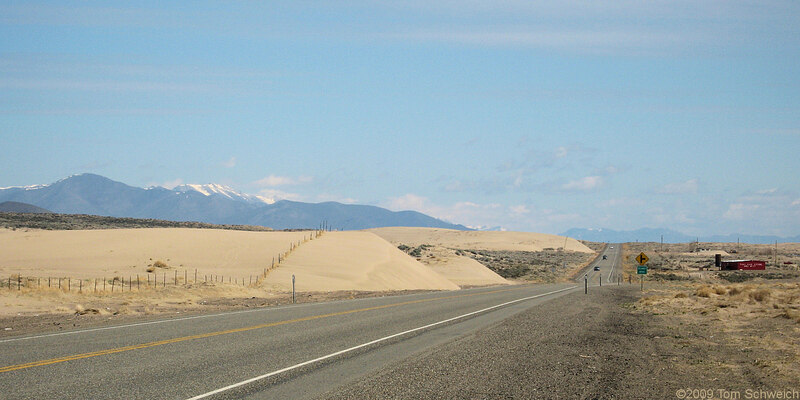 Singing and Booming Sand Dunes of California and Nevada: Winnemucca Dunes, Nevada. U. S. Highway 95: Winnemucca Dunes. Other photos about Geography - Nevada or Humboldt County.